Certainly one of my mental stumbling blocks about Blonde on Blonde has to have been “Sad-Eyed Lady of the Lowlands”, which comprises the entire fourth side. This epic, which is said to have inspired Roger Waters to push Pink Floyd towards album-length songs, is a bit of a slog. While there is a lot of speculation about who certain of Dylan’s songs are about (Edie Sedgwick seems to be the best guess for several of them! 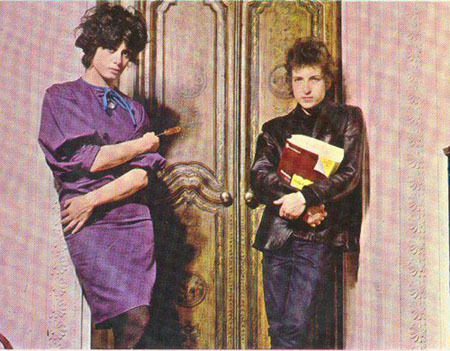 ), this one is not in doubt: Dylan had recently married Sara Lownds, her last name is not that dissimilar to Lowlands, and, later in the song “Sara” (from Desire) about their divorce he writes the lyrics “Staying up late in the Chelsea Hotel, writing ‘Sad-Eyed Lady of the Lowlands’ for you”. So that’s pretty clear (Dylan and Lowndes lived in separate rooms in the Chelsea while they were dating to make it even more clear). Of course, “Sara” is a bit of a stretch of the truth, because all the reports indicate that Dylan wrote this at the keyboard in a studio in Nashville all day while his back-up musicians dozed, smoked, and generally waited around. By his own admission the thing got a little out of control – the lyrics just keep coming and coming and coming. This is the greatest use of the word “and” in the history of song. Nineteen times the word appears in the verses. He just keeps stringing her characteristics together in a list, one after another. He sure did have a lot to say! Musically there’s not much to this one in comparison to a lot of the other songs on the album – it’s quite repetitive. This was essentially a one-take recording, the other takes are all rehearsals or interrupted. There doesn’t seem to have been much practice. The drummer noted how the second chorus builds to a crescendo because the band thought they were wrapping, but then there’s six more minutes of song left. Not his best lyrics, not his best music. He never played this song live. It would have been interesting to see if he could remember all of the words. 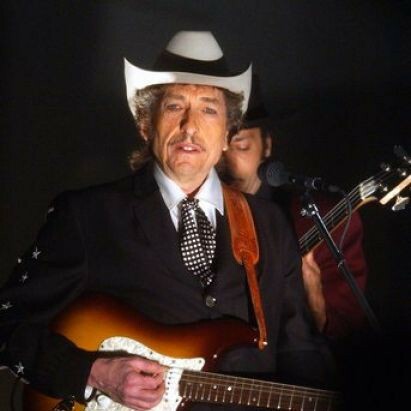 I do like some of Dylan’s epics – “Desolation Row”, and, as we will see in a few months, “Brownsville Girl” – but this one has its reach exceed its grasp. What makes this song most interesting to me is the fact that Joan Baez covered it on Any Day Now, her album of Dylan covers. It’s not just that her version is so much better (though it is that), it’s just so bizarre for Dylan’s former lover to be singing the song that he wrote for his wife and the mother of his children. Their relationship continues to confound me.